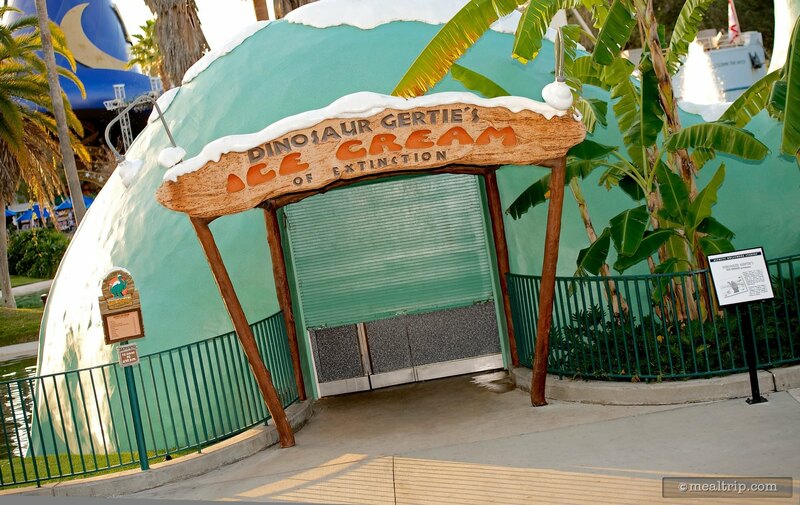 Dinosaur Gertie’s Ice Cream is a walk-up kiosk on Echo Lake that is quintessential “California Crazy” architecture. 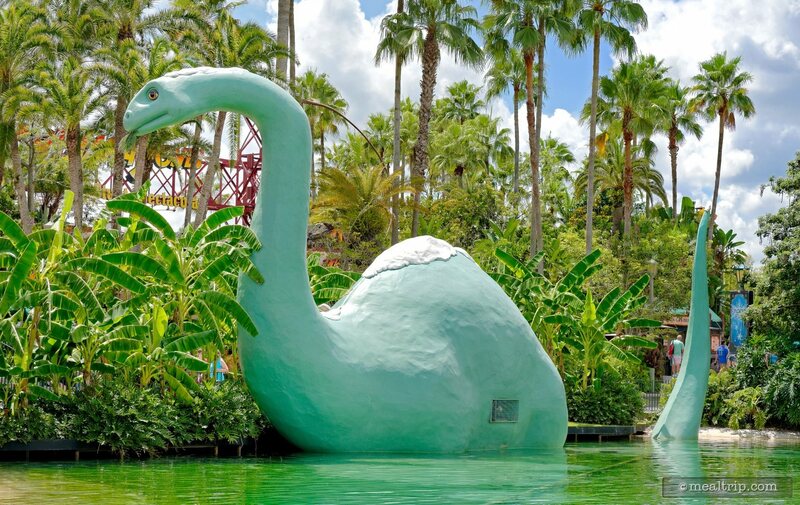 In the shape of a giant dinosaur, the inspiration for Gertie’s came from a 12-minute short named “Gertie the Dinosaur”, released in 1913. 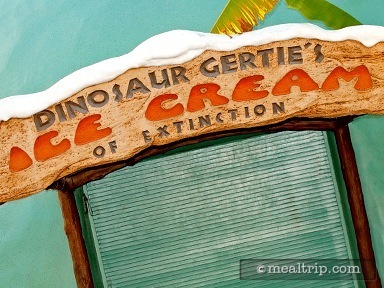 Soft serve vanilla, chocolate, and swirl ice cream in cups or a waffle cones are available, along with packaged Mickey Ice Cream Bars and Sandwiches. Beverages are also available.